Opening this week, with a premiere at the Royal Cinema this evening is Goran Kalezic’s new comedy, which he penned with the film’s lead Victor Altomare. Altomare plays Joe Murky, a bit of a crass criminal with a knack for being other people. When the feds learn that his niece was kidnapped and being held by a notorious criminal, Mr. Chiang (Ted Han), they see an opportunity to finally capture the elusive Chiang by letting Murky and his many characters go after him. 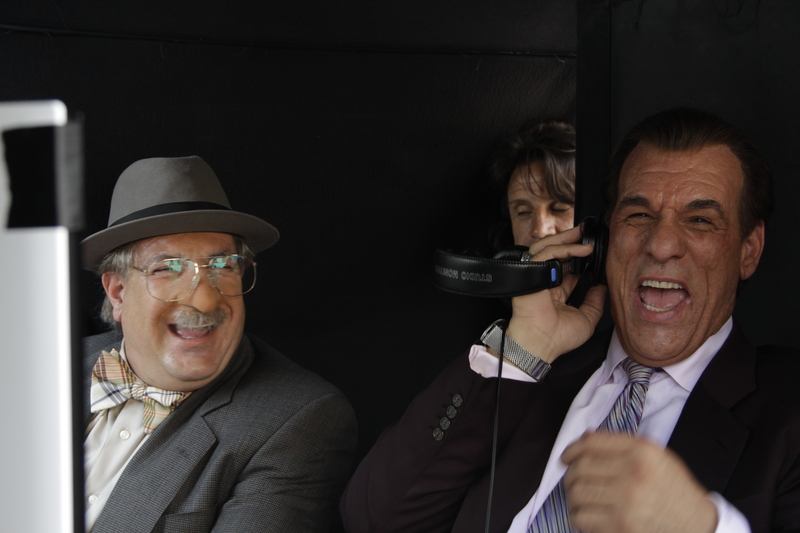 It’s not going to be easy though, because everyone wants a slice of the money that Murky is supposed to have tucked away somewhere, including his parole officer Curry (the always exceptional Robert Davi!). Davi seems to be having a good time just running with the script he’s given and playing, and he proves to be the delight of the film, he has some great chemistry with Stacy Keach’s Max, Murky’s make-up artist, and watching the two of them work together is a lot of fun. In fact someone should probably write the two of them a movie to star in together. Overseeing all of this, and falling for Murky’s characters just as easily as the rest of the film’s characters is the very lovely Monique Zordan as FBI agent Katy Simm. Some of the material comes across as crass, and there are more than the requisite number of bathroom humor gags, but Davi’s presence elevates the material, and he’s a lot of fun to watch play in a role that’s decidedly, a little different for him. Between him and Keach, the two of them steal and make the movie. Keach’s Max has, since Murky went to prison, discovered he’s gay, and isn’t quite the same guy Murky left behind. He wears eyeliner and fake lashes, and is trying to craft the perfect poem to tell Joe how he feels. The humor may not work for everyone, but for me it was awesome to see both Stacy Keach and Robert Davi (who I’ve been a fan of since The Goonies!) sharing the screen together, and they seem to be having a good time (especially during the outtakes that run through the credits). The Great Chameleon opens tonight!